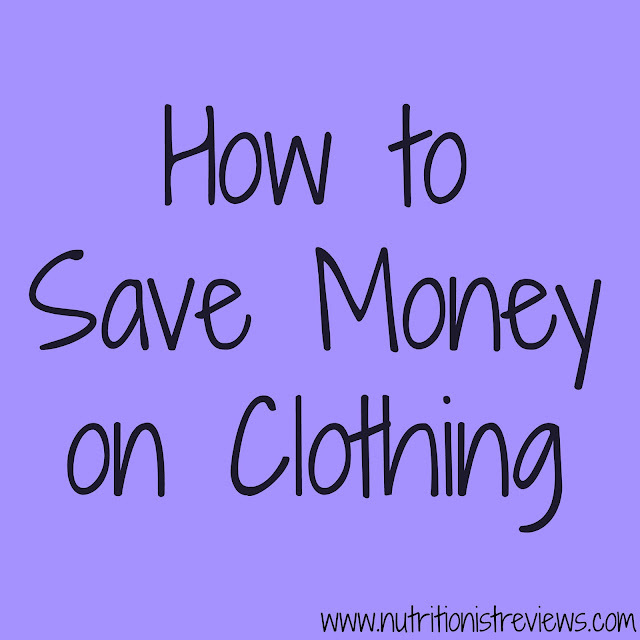 If you have been reading my blog for awhile, you know that I love to save money. I shop second hand for a lot of items, use coupons and rebates and shop for sales. My favorite grocery store is Aldi which has great prices. I shop at a fruit and vegetable market that has better deals than any other I know, etc. I love to save money on bills too. We don't have cable. We have our car insurance at the lowest cost we could find with still decent coverage. We turn off the lights and use energy efficient products. These are just some examples of the ways that we save money. Something that you may not know about me is that I love to shop. Although I like to save money, I also love clothes, shoes, home decor and more. To be able to regularly fit these items in my budget, I use a couple techniques that save me money. 1. Shop the sales- I pretty much never look at items that are full priced so that I do not tempt myself. I love browsing clearance racks and have found most of my clothing, Adalyn's clothes and Troy's clothes this way. 2. Buy early for next year- I recommend waiting till the end of one season to stock up for the following year. For example, I have already bought a bunch of Adalyn's clothes for next summer by stocking up now. I found outfits for $6 that were usually $24. That is 75% off! 2. 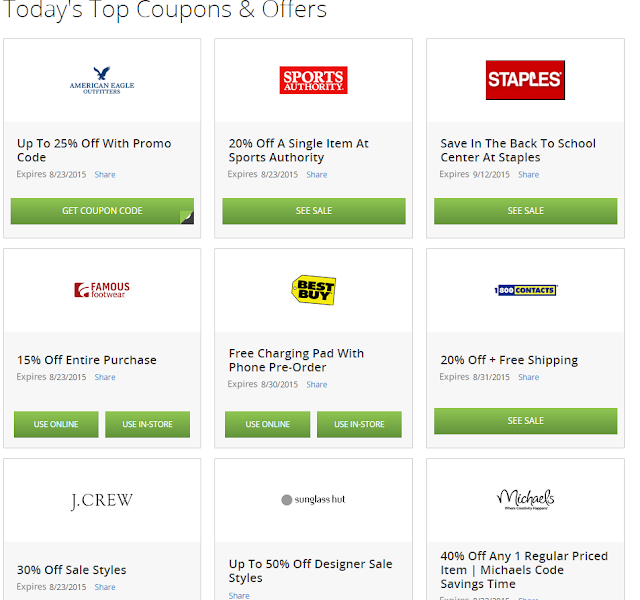 Use coupon sites- This is one of my top tips! When I find my sale and clearance items, I open up Groupon Coupons which shows you the coupons available for that store. 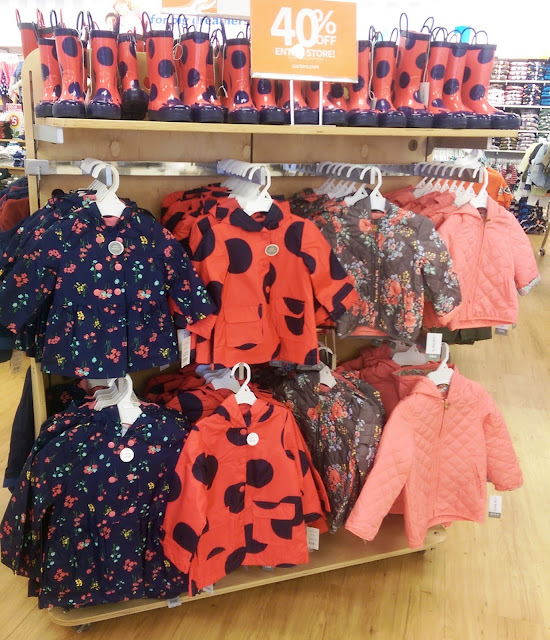 There are some offers that are available online only and/or in-store. For example, I have found a bunch of great prices at JcPenney and then find a coupon for another 20% off. I have gotten Nike workout capris for literally $2 this way! Groupon Coupons has coupons for 8,5000 retailers. You do not have to register to use the site like you do for Groupon. It is super easy to use and what I love most is that you do not have to print out anything ahead of time. Just pull out your phone and either go to the Groupon Coupon website or use the Groupon app to open the coupon and have the cashier scan it at the register. Disclosure: This post is sponsored by Groupon Coupons. All opinions and experiences are my own.